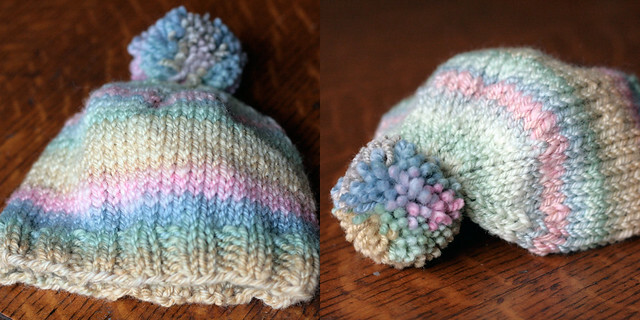 I knit this little hat from last week's lovely skein of pastel handspun (below right). The pom-pom is the best part. So colourful and cute! 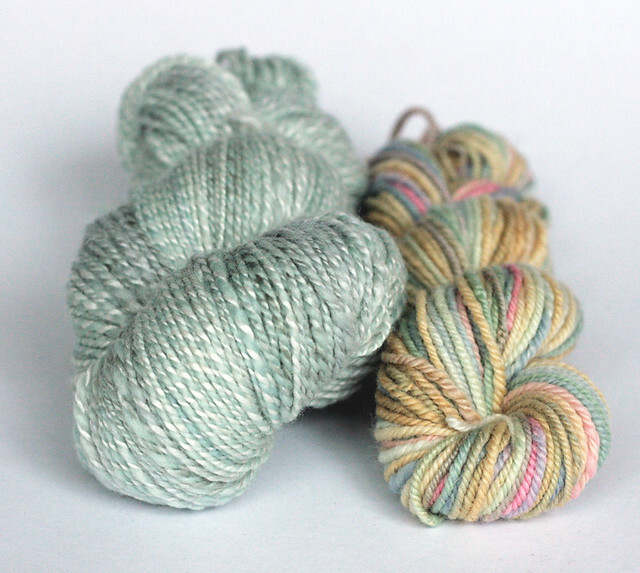 I'm all ready for the TFA Colour KAL to start next Monday, May 14th. I can't wait! I've wound my yarn (a Sky Palette) and have started swatching. 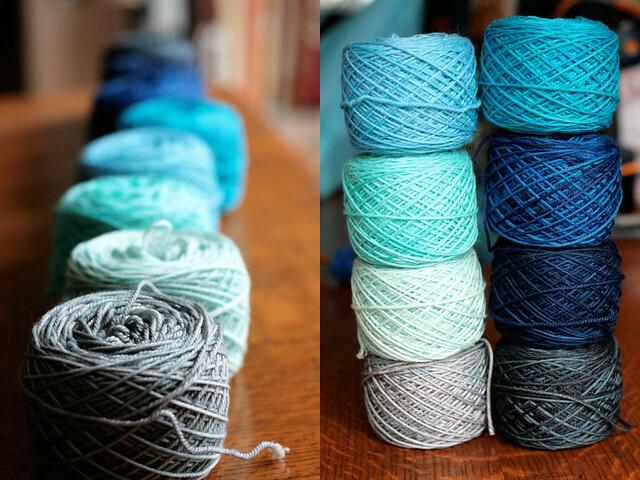 I love working with these shades of blue... it's like heaven!